You are here: Home / Theme Parks / Walt Disney World / Hollywood Studios / What if Rock N Roller Coaster at Hollywood Studios was Outside? 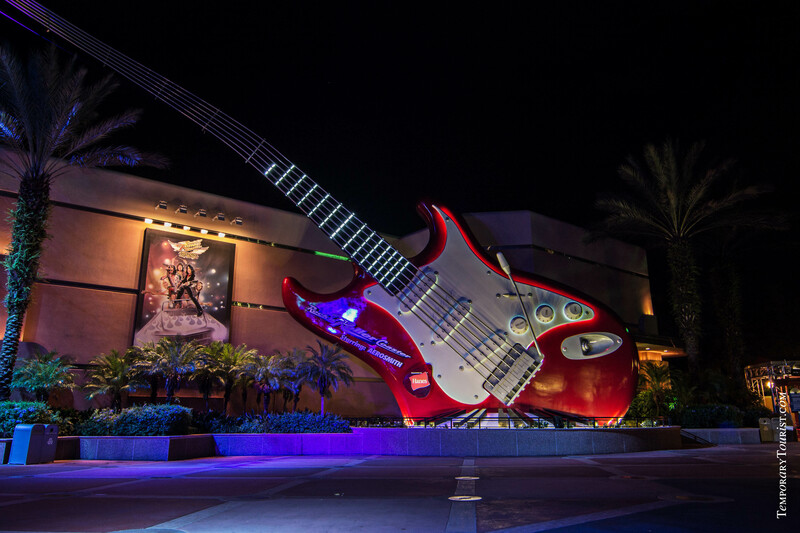 What if Rock N Roller Coaster at Hollywood Studios was Outside? Ever wonder what Rock N Roller Coaster at Hollywood Studios would look like if it was outside or even just had the lights on? It just so happens the track the Aerosmith-themed thrill ride is set on isn’t exclusive to Hollywood Studios. While this same ride is also an indoor ride at Disneyland Paris, it’s also set completely outside at the Walibi Holland theme park in Europe. Located in Biddinghuizen, Netherlands, the Xpress: Platform 13 is the same track as the Rock N Roller Coasters. All three roller coaster tracks were built by the same manufacturer. Vekoma Rides Manufacturing out of the Netherlands is one of the top roller coaster manufacturers in the world and specializes in the LSM (Linear Synchronous Motor) type rides. These LMS roller coasters have electric motors which give the coaster that “boost” or push at the beginning of the ride. You can definitely feel the push as Rock N Roller Coaster goes from 0 to 60 mph in just under 3 seconds! A guest to the Walibi Holland theme park rode the XPress ride a few years ago and used a GoPro from the front row to capture some great footage of the ride. Here’s the video of the XPress: Platform 13 ride, the same track as Rock N Roller Coaster in Hollywood Studios! I love roller coasters and go on them ever park we go to. We’ve been on the Rock n Roller Coaster at least a dozen times!! That looks amazing. and So much fun. I hope they keep it outside. I would love to try it out one day. I’m not a fan of roller coasters I think mainly cause my life feels like one every day. This one looks really cool though!! That is one of our favorite rides at WDW I had no idea it was also in other places. It is cool to see it outside, but I think I love the inside version the best! I like the indoor coaster the best – but this looks like an awesome ride! Did you use a chesty mount – need to do this next time! Gosh – if it was outdoors I don’t know if I would have been brave enough to go on it! I like that it’s hidden and dark so I don’t know what’s coming up next!